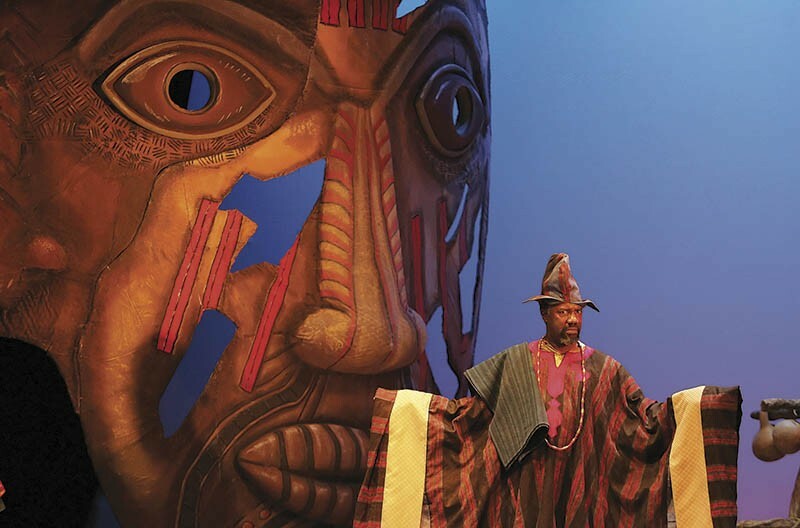 The Black Rep's production of Death and the King's Horseman was a high point for founder Ron Himes. It's no secret the Saint Louis Black Repertory Company suffered a series of setbacks in the recent past. The impending sale of the Grandel Theater in 2013 forced the company to hit the road on the cusp of its 37th season. "It was short notice. We had no way to start the season or build a campaign," recalls the company's founder and artistic director, Ron Himes. The loss of what had been its home for twenty years and the uncertainty surrounding the Black Rep's immediate future resulted in smaller audiences for the next couple years. The one-two punch of no theater and shrinking audiences could have been fatal, but Himes and the extended Black Rep family kept fighting. Himes likens it, naturally, to a play. "In the first season we did J.B.," he says, referring to Archibald MacLeish's modern retelling of the biblical story of Job. "These past few years reminded me of that. Another test, another test, another test." Last year felt like a rebirth for the company. There was a sense of stability again. Audiences slowly resumed their former sizes as the year went on, and opening nights felt like an event again. The importance of that last item can't be understated. There is nothing quite like opening night at a Black Rep production. They are joyous affairs somewhere between family reunion and block party, and you better dress like you mean it. People look sharp — the clothes are new, the hats are bold and there is a sense of anticipation. By the final show of the season, the spirit of the old Grandel lobby was reborn. Himes agrees. "We've turned a corner. Here we are. Here we stand." That "we" absolutely includes the audience. "I was at a seminar this summer and someone asked me if I felt like my work was done now that there are more black actors on stage in St. Louis." Himes throws his hands up as he recalls the conversation. "People still ask me if the Black Rep is 'done.' It's not just about getting black actors opportunities or producing the works of black playwrights: It's also for this community. We're bringing theater to an audience that isn't going to see the shows elsewhere."